With the sun and the heat returning once again today, so did the action back at the docks! 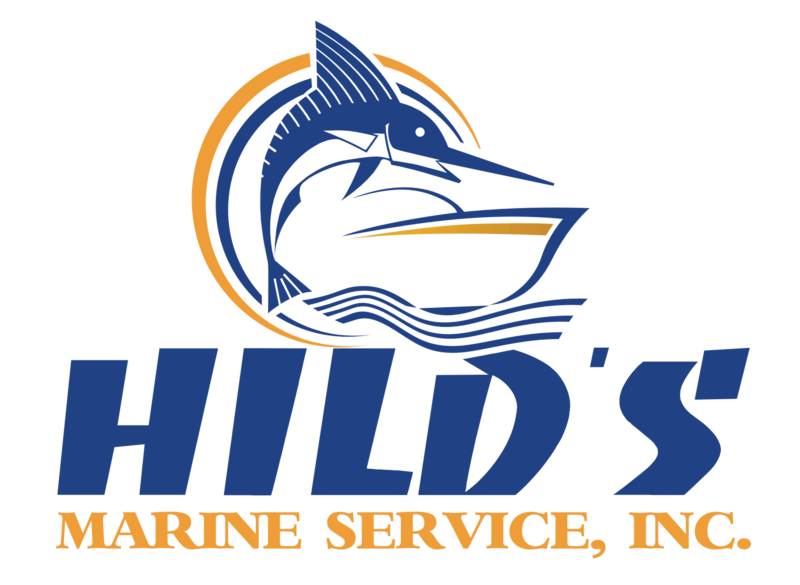 Early in the day the news spread that the crew of the ‘Stalker’ out of the Ocean City Fishing Center released the first White Marlin of the season. Congrats to Captain Steve Moore and crew on your outstanding day! The ‘Osprey’ was the first boat back to the dock returning with 12 yellowfin tuna, and 3 bluefin tuna. 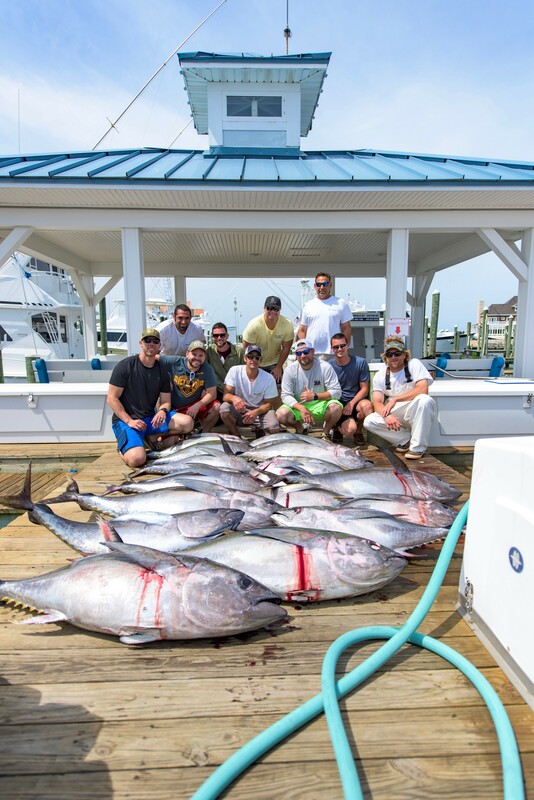 Next back to the dock was the ‘Boss Hogg’ bringing back a whopping 17 yellowfin tuna. Finally we had the ‘Marli’ return throwing a mixture of 6 yellowfin tuna, and 3 bluefin tuna on the dock. The fishing action continues to heat up so make sure to call the marina office at 410-213-9600 to book your next trip! Foul weather wasn’t enough to keep the fleet at the docks today after such an amazing bite from earlier in the week. These trips certainly paid off, with all boats returning to the dock with large amounts of tunas. The ‘Rhondas Osprey’ fished the Hambone, and returned with 3 Bluefin. Fishing the Hot Dog was the Cabana, with 3 Yellowfins and 1 Bluefin, and the Blood Money with 10 Yellowfins and 2 Longfins. In the Wilmington was the ‘Marli’, with 6 Yellowfins, 2 Bluefin, and 1 Dolphin, and the ‘Boss Hogg’ with 12 Yellowfins and 1 Bluefin. Tomorrow’s forecast looks quite rough in the canyons, but we look forward to better weather later in the week where hopefully out anglers can find the tuna’s once more. Although the ugly weather kept most people off the docks today, it sure didn’t stop our charter fleet from venturing out to the deep in search of fish. With the amazing day all of our boats had yesterday it was no surprise to see a decent amount of boats fishing today. The Marli, Reel Chaos, and Boss Hogg all tested their luck at the Wilmington Canyon today after the phenomenal day the Reel Chaos had there yesterday and it seemed as if it paid off. The Marli caught 13 yellowfin and 1 bluefin, the Reel Chaos caught 5 yellowfin and 2 dolphin, and the Boss Hogg brought back 14 yellowfin to the dock. The lone boat we had fishing in the Baltimore Canyon today was the Osprey who caught 5 yellowfin and 2 dolphin. The tuna bite is officially upon us!! It was an incredibly busy day down on the docks with a plethora of boats fishing as the bite slowly but surely begins to pick up. A few of our charter boats, the Reel Chaos and the Boss Hogg, ventured to the Wilmington Canyon, which certainly did not disappoint. Reel Chaos led our fleet today with an impeccable 12 Bigeye and 6 yellowfin (pictured below),the Boss Hogg caught 10 yellowfin, and the Marli caught 12 Bigeye and 1 dolphin. Fishing in the Baltimore Canyon was the Osprey who reeled in 10 yellowfin. Lastly, the Espadon ventured out to the Jackspot where they caught an impressive 7 Bigeye. As you can see the tuna bite is in full swing, so be sure to contact our dock office to book your trip of a lifetime today! The docks were buzzing with activity today as the sunshine and moderate temperature had a lot of people kicking their weekends off a little early!! Once again the crew of the ‘Marli’ and ‘Boss Hogg’ ventured out trying to find the fish. 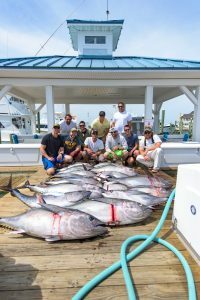 The ‘Marli’ returned with 5 yellowfin tuna and 1 bluefin tuna while the ‘Boss Hogg’ caught 3 yellowfin tuna and 3 bluefin tuna. The Washington Canyon was the hot spot fishing ground today. It is not too late to to book your next charter trip! Just give the marina a call at 410-213-9600 and schedule your dream trip! It was another beautiful day at the marina with cooler temperatures and a slight nip in the air. Many of the crews were making use of the day working down their maintenance check lists. We only had two boats fish today. The first was the ‘Marli’ who returned from the Washington Canyon with 9 yellowfins and 3 bluefins. The second boat was the ‘Boss Hogg’ who were fishing late into the evening and returning after we close. Be sure to stayed tuned tomorrow to see what the caught! Gloomy weather from earlier in the week led for rough seas offshore, keeping most everyone at the docks. The ‘Marli’ fished the rough seas to return with two tunas, one bluefin and one yellowfin. It will certainly be interesting to see what the rest of the weekend brings, with several boats leaving over the next couple days to fish the Big Rock Blue Marlin Tournament, which begins Monday June 11 and continues through to Saturday June 16th. 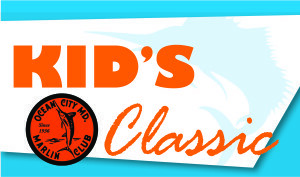 This tournament takes place in Morehead City, North Carolina. Fishing was much slower today than yesterday, with only 3 boats to report for this evening. The ‘Reel Chaos’ fished outside of the Poormans and returned with 1 Dolphin and a handful of Tilefish. The ‘Marli’ returned with 3 Yellowfin Tunas and 2 Dolphin from their day in the Washington. Last, but not least, the ‘Boss Hogg’ fished the canyons to find a Bluefin and a handful of Tilefish. Today was much slower, with most reporting they had to travel a good distance to find a bite. Tomorrow’s forecast looks spotty, and it looks that most of the fleet will remain at the docks. Perhaps early next week will bring more of the bite we saw yesterday? Summer has officially kicked off- and the tuna bite has exploded off of our coast! The ‘Osprey’ returned with 3 Bluefin Tunas and releasing 7 more in the Hambone. The ‘Boss Hogg’ had a good variety, returning with 20 Tilefish, 20 Seabass, and 3 Bluefins. They took their charter to the Poormans today. The big catch of the day was aboard the ‘Marli’, who’s crew returned with 3 Bluefins and a whopping 176lb Big-Eye tuna, the first that we have seen to our docks in 2018. Captain Mark Hoos reported to be fishing just outside of the Washington. Several boats are currently preparing to fish tomorrow, be sure to stay tuned tomorrow for the latest! It was a foggy gloomy atmosphere around the docks today which made for a quiet day. The ‘Marli’ was our only boat out fishing today and despite the fog had a successful trip. They were fishing just above the Norfolk canyon and returned with 2 bluefin tuna, and 1 big eye tuna! Let’s hope that the fog lifts tomorrow and we see some sunshine once again!! Another slow day at the docks, with the ‘Marli’ being the only boat to fish out of the marina. The Rock Pile was Capt. Mark’s destination today, where he caught two bluefin tunas. Transient traffic is at an all-time high for the year, with several boats making their way up the coast to their summer-time destinations. If your vessel is on the move, be sure to consider us for dockage and fuel to get you on your way! A rough forecast left many boats at the docks today. This didn’t stop the ‘Marli’, who returned to the docks with 3 Blue-fin Tunas after a day in the Poor Mans. Stay tuned with us throughout the week for information on where the action is!